Jasper TAYLOR (1643 – 1719) was Alex’s 9th Great Grandfather; one of 1,024 in this generation of the Shaw line. Jasper Taylor was born 21 Oct 1641, St. Andrew, Holborn, Middlesex, England. His parents were Richard TAYLOR (1610 – ) and [__?__]. He is sometimes called Jospeh Taylor. He married Hannah FITZ RANDOLPH 6 Nov 1668 in Barnstable, Barnstable, Mass. 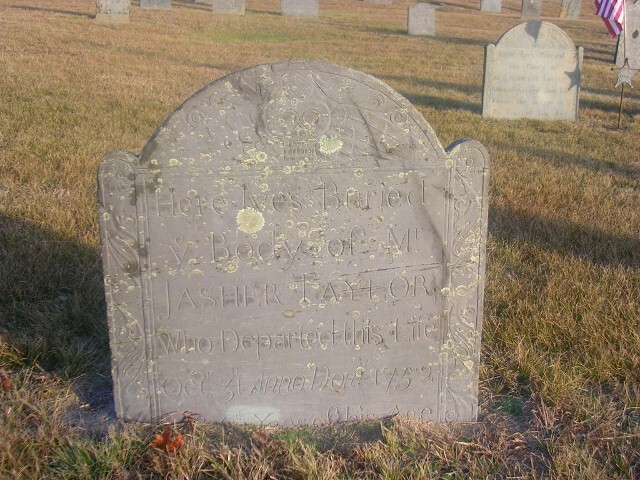 Jasper died 1719 in Barnstable, Barnstable, Mass. 1 Dec 1698 Yarmouth 14 Mar 1742 Barnstable, Barnstable, Mass. 18 Feb 1714 Yarmouth 31 Oct 1752 Yarmouth, Barnstable, Mass. Stephen Taylor was born about 1618, possibly in Spreyton, Devon, England, and died 1 Sep 1688 in Windsor, Conn.. He first married 1 Nov 1642 in Windsor, Conn. to Sarah Hosford (bapt. 11 Jan 1623/24 Beaminster, England – d. 1647 in Windsor, CT). Her parents were William Hosford and Florence Hayward. After Sarah died, he married 25 Oct 1649 in Windsor, CT to Elizabeth Nowell ( b. ~ 1630 – 5 Aug, 1689 in Windsor, CT). .Genealogies that show Jasper’s parents to be Stephen Taylor and Sarah Hosford, show him as an only child. In trees that show their other children, Jasper never appears. i. Stephen Taylor b. 11 Mar 1643/44, Windsor, CT; d. 3 Aug 1707, Windsor; m. Joanna Porter. ii. Samuel Taylor 8 Oct 1647, Windsor, Conn.; d. 5 Aug 1723, Westfield, Mass. There were two contemporaneous Richard Taylors residing in early Yarmouth between 1643 and 1674 (the “tailor” and the “Rock”). I’m going with the theory that they married sisters Mary and Ruth Welden. Mary and Ruth were both daughters of our ancestor Gabriel WHELDON. See Gabriel’s page for the 18 children of the two combined families. I sorted out the children by family, but presented in a single list. One of Ruth’s children has named “Jasher” and another had a son named “Jasher”, though other accounts say he was the child of the subject of this sketch. There were Jasper and Jasher Taylors in early Yarmouth. Are they two names, or variants on one? Jasper is a variant of the Persian name Kasper–and related to the name of the third Magi, Gasper. In Scandinavian countries, the name is Jesper. The name dates far back, and was common enough to be used in the royal family of England. The uncle of Henry VII of England was Jasper Tudor (1431-1495), the second son of the scandalous relationship of Owen Tudor and Queen Catherine of Valois (widow of Henry V). Jasher, pronounced jaw-shawr’, is Hebrew in origin and it’s meaning is righteous or upright. The Book of Jasher, or the Book of the upright is one of the several lost books of the Old Testament referenced in the Hebrew Bible. It was probably a collection of verses in praise of the heroes of Israel. His parents were our ancestors Edward STURGIS and Temperance GORHAM. Joseph died 16 Mar 1747 Yarmouth, Barnstable, Mass. i. Jasper Sturgis b: 1 Apr 1695 in Yarmouth, Mass. ii. Temperance Sturgis b: 6 Sep 1696 in Yarmouth, Mass. iii. Thankful Sturgis b: 15 Jul 1698 in Yarmouth, Mass. iv. Hannah Sturgis b: 30 Jul 1701 in Yarmouth, Mass. v. Fear Sturgis b: 15 Jan 1705 in Yarmouth, Mass. Seth’s wife Susanna Sturgis was born 1683 in Yarmouth, Barnstable, Mass. Her parents were Thomas Sturgis and Abigail Lathrop. Her four grandparents were all our ancestors: Edward STURGIS & Elizabeth HINCKLEY and Barnabas LOTHROP & Susanna CLARK. After Seth died, she married 9 Oct 1732 to John Throop. Examination of the original Bristol Vital records discloses the following wording, “Dea’n John Throop entered his intention of marriage with Susannah Taylor of Yarmouth, October 9th 1732. She was admitted a member of the Bristol church between January of 1728 and May 13, 1741. Susanna died 13 Oct 1768 in Bristol, Rhode Island. i. Barnabas Taylor b. 28 Jan 1702 Yarmouth, Barnstable, Mass. ii. Abigail Taylor b. 6 Dec 1703 Yarmouth, Barnstable, Mass. iii. Seth Taylor b. 1 Apr 1705 Yarmouth, Barnstable, Mass. iv. James Taylor M 7 Feb 1707 Yarmouth, Barnstable, Mass. v. Eleanor Taylor b. 8 May 1709 Yarmouth, Barnstable, Mass. vi. Ebenezer Taylor b. 10 Jun 1711 Yarmouth, Barnstable, Mass. vii. William Taylor b. 23 Feb 1713 Yarmouth, Barnstable, Mass. viii. John Taylor b. 5 Jul 1715 Yarmouth, Barnstable, Mass. ix. Thankful Taylor b. 8 Mar 1717 Yarmouth, Barnstable, Mass. x. Thomas Taylor b. 5 Jul 1718 Yarmouth, Barnstable, Mass. xi. Enoch Taylor b. 4 Mar 1720 Yarmouth, Barnstable, Mass. xii. Nathaniel Taylor b. 18 Jun 1723 Yarmouth, Barnstable, Mass. Some genealogies show Jasher’s parents as Richard Taylor (1652 – 1732) and Hannah Rice (1651 – 1707). Richard’s parents were Richard Taylor and Ruth Wheldon and his grandparents were Gabriel WHELDON and Jane [__?__]. Jasher’s wife Experience Cobb was born 8 Jun 1692 in Barnstable, Mas. Her parents were Samuel Cobb (b. 12 Oct 1654 in Barnstable, Plymouth Colony – 7 Sep 1727 ) and Elizabeth Taylor (b: ~1655 in Barnstable, Plymouth Colony). 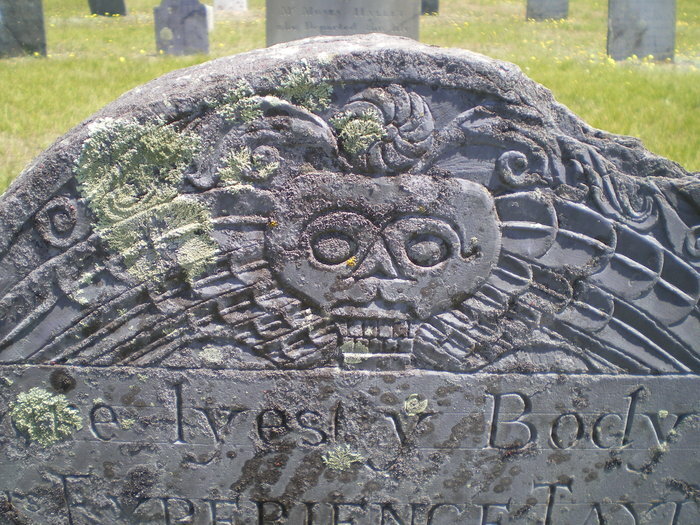 Experience died 17 Dec 1764 Burial: Ancient Cemetery, Yarmouth Port, Barnstable, Mass. This entry was posted in 11th Generation, Immigrant - England, Line - Shaw and tagged Barnstable, Jasper and Jasher, Yarmouth. Bookmark the permalink. Cousin Mark Miner……..I am so sure that our lineage from the Taylors started from Great grandparents Jasper Taylor and Hanna Fitz Randolf. Joseph Minor moved and lived in Nebraska. He went or lived there maybe because our uncle/grandfather US President Zachary Taylor went and lived there too. Joseph Minor of Grants County Nebraska is a brother of my great grandfather Benjamin/Thomas Taylor Minor. Joseph Christopher Minor Abbott was the son of Hanna, Hanna’s father was Joseph Minor….they are the first ranch owner who used a cabin plane in ranching in Nebraska, Grant County. Another uncle that is not practically known to other MINORs list is my direct cousins and relatives like great uncle Jorge/George Minor of Spotsylvania who moved to Ohio, where son is great uncle Arthur Minor, father of Norman S. Minor- CLEVELAND’S LIVING LEGEND IN LAW” featured in Ebony Magazine Nov. 1963 issue.Jasper Another cousins and relatives, uncles and aunties is the MINORs of GALE HILLS. Auntie LUCY MINOR TRICES is sister of my great grandfather. One of our cousin JASPER BURNS chronicled the story of the TRICES, MINOR and JEFFERSON of Gale HIlls…….Jasper Burns name was followed from our great great ancestor Jasper Taylor, that obviously suggests he’s belong to us TAYLOR family. THE traditions to ‘follow and use the names of parent or grandparents ” so to preserved their memory and our ties to them never fades” IS VERY OBVIOUS. Now that my father is 71 years old, he looked very similar to uncle BENJAMIN BLAKE MINOR, but when he’s only 30 years old, he looked like Ethan Hawke…….uncle Benjamin Blake Minor is a nephew of THOMAS TAYLOR MINOR. Another thing that puzzled me was the name “BELL” in Magarao Camarines Sur. My grandfather Emeterio, my father’s “Tatay” (father) was born in BELL Magarao Camarines Sur. One resident from Magarao said that the BELL name came or derived from American missionary who lived and built a church in Magarao, another stories emerged that he is an American soldier who lived and died there during World War II. Maybe that man having a surname “BELL” was a very good fellow, very humble and loving that residents of Magarao wants his memory to live forever. My 2x great grandmother Lola Pyang was the richest residents of Magarao, she donated a parcel of land in BELL Elementary School. have lots of horses and carriages, vast lands with two :bodega” or storehouses to keep the hays and the palays, In 1920-1930s Naga City have no drinking water supply, my great grandmother have lots of boats so he founded a,business of supplying drinking water from Magarao to Naga City. They are very rich, they owned two Ford cars that was burned down by the Japanese troops in WWII. and the last car she owned was Ford Special, a model similar to the Philippine President in 1965. 1n 1966, my grandfather learned that all our property was lost and squandered by his cousins. Hope my story will add info as to how the other MINORs lived outside the comforts of American dreams and luxuries, far and away from cousins and relatives……whom WE longed for to see and hug and say I LOVE YOU auntie….I LOVE YOU uncle….I LOVE YOU cousins. . Thank you so much cousin Mark for giving me the chance to be in this group. 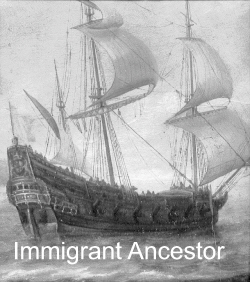 I am very proud of our ancestors that leaved a mark in history. Coat of Arms removed. In reality, Jasper Taylor was not part of the gentry and did not have a coat of arms when he came to America.